The Open Fog Consortium defines Fog Computing this way: “A system-level horizontal architecture that distributes resources and services of computing, storage, control and networking anywhere along the continuum from Cloud to Things.” In his recent Fog Computing report, Aapo Markkanen at Machina Research puts Digi in this category. He says, “Digi is well placed to a make a play in fog computing, given its strong communications portfolio and additional capabilities [such as] Device Cloud and device management.” We couldn’t agree more! Intelligence on the edge of the network allows our customers to store, shape and translate machine and sensor data to maximize connections from the device to the cloud. Digi Device Cloud enables our customers to bring enterprise routing features to the edge of their networks enhancing security, storage, and redundancy. 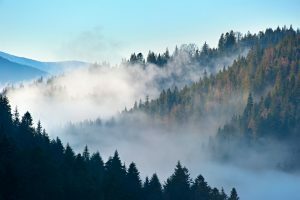 The concept of Fog Computing accurately describes the way our customers are managing mission critical applications across multiple wireless protocols making it easier to configure, deploy and manage devices on the edge of their networks.